I suppose this should be called Chicken Soup rather than Chicken Broth. We still call it Broth even though we do not strain it and turn it into a Consomme. You can make Brodu with chicken, beef and even with just vegetables, same way as you would make stock. My favorite though has to be with chicken. I use chicken wings but you can use any parts. So when feeling a bit under the weather, a little of our Maltese Brodu will definitely make you better! This soup could not be easier! 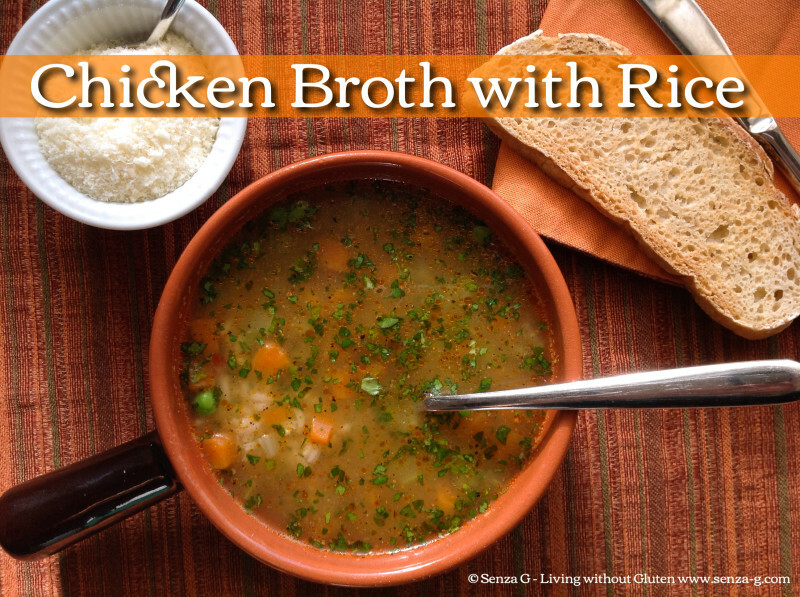 Just place all the ingredients, except for the rice, salt, pepper and parsley in a large stock pot. Add about 5 cups of water and bring to a boil. Season with salt and pepper. Leave to simmer until the chicken and vegetables are soft. Add the rice and cook for about 10 to 14 more minutes, depending on the rice used. Add the peas a few minutes before rice is done. Serve in bowls sprinkled with fresh parsley. Note – I usually eat the chicken wings after I eat my soup! If you wish you can also shred the chicken and add it to the soup before serving. You can also use small pasta shapes instead of rice.